Clay is impervious to water. That’s why it has been used to form ponds for hundreds, maybe thousands, of years. If a river once ran through the area then it will surely still want to do that, whatever action's taken to dissuade it. Plenty of rivers have been put into conduits, especially in cities, but that never stopped them from existing. 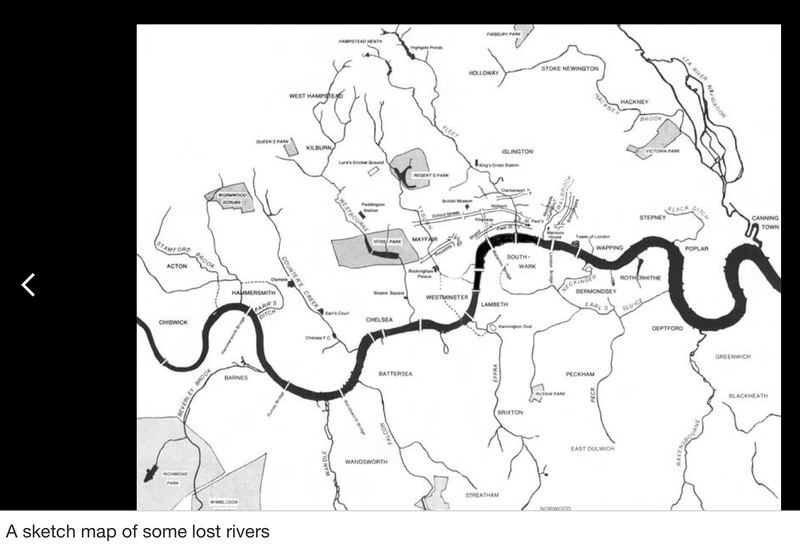 They just became “lost rivers”, as in these ones in London. You have tried a pump and it couldn’t cope. All you can do is try to work with what you have. Land drains would merely divert the water from your garden into neighbouring gardens and upset your neighbours. You don't say whereabouts in the country you are @sarahloux_2, do your neighbours have similar problems? As Pansyface says, installing land drains could exacerbate the problem unless you are lucky enough to have a way of doing it without affecting them. You can install them yourself, but it's not the easiest thing to do. It may be that a photo could help the "engineers" on the forum to advise, if that's possible.